“What is probate?” That’s a question I hear often. In fact I was recently creating a financial plan for a client and this issue arose. The client, Betty, asked me about a family trust during our meeting. In explaining the advantages and disadvantages, the issue of probate came up. After about five minutes, Betty stopped and asked me to define probate. I realized my answer to her might be helpful to you, so I’ll take a moment to explain. Just remember that I’m not an attorney and you should seek professional legal counsel with specific questions about your own situation. On to probate. Probate is one way your assets are redistributed after you die. If you have a will, the court reviews it after you die. Then they determine who will get what. This is the process of probate, and in this case, it’s called “testate” because you died with a valid will. If you don’t have a will, the court will look at the law and listen to testimony and decide what happens to your money. This is still probate, but it’s called “intestate” because you were too lazy to create a will or trust. 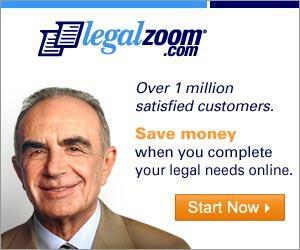 Generally speaking, you can save 85% of the cost of an attorney by using LegalZoom.com. Either way, this process takes time, involves lawyers and costs a lot of money. Probate is expensive and is not a good way to protect your assets. For example, when Elvis Presley died, he was worth $10 million. After probate, his heirs received $3 million. Where did the other $7 million go? It got gobbled up by lawyers and court costs because of probate. (And all Elvis worried about were his blue suede shoes!) Losing 70% of your estate or more to probate is not uncommon. Many of these costs are fixed regardless of how large or small your assets are. And the higher the costs, the less money there will be for your heirs. If you are a business owner, think about what your small business is worth. Now think about only passing a third of it on. Hurts…right? What are some of the typical costs? If you don’t choose carefully, a court appointed executor will be put in place. They might charge 2 to 4% of the estate. To be fair, even if you don’t need probate, you’ll have to file an estate tax return if your estate is large enough. The same thing goes with property appraisals. This is the biggest cost of probate and it can be (almost) completely avoided. Attorney’s fees are often set by state law, and they are high. On top of these problems, probate is public record. That means anyone can find out how much money you had and where it went. They can read your will too. That stinks, if you ask me. How do you avoid the horror of probate? Using a living trust, it’s possible to redistribute your assets after you die. This is done quickly, cheaply and privately. In some cases, you can prepare your own living trust using a service such as Legal Zoom. Other situations are more complicated and you would really be better off using a qualified attorney to prepare your trust. What probate horror stories can you share? What have you done about it? Our mother had a will states divided in thirds. Our sister PR is doing nothing to divide mother`s estate. She hired an estate attorney . neither of them will let us know anything. what can we do to see mother`s wishes are honored???? The most important first step is to seek out your own legal advice. YOu have rights – yes. But a lawyer will make sure you are able to enforce those rights. I didn’t even know what an A/B Trust was until after I did some looking up on it. Even after having looked it up, I don’t think it would make much sense until one has such asset levels that would even render thinking about it. For us, we are far from it at present time, but there probably will a point of time for me to look more into it and see what we can and can’t do. For the most part, given what I been through in life, I’m more so a do it myself type person rather than let someone else do it, so as to save on the various costs. I agree with the advice to get a living trust to avoid probate. My mother died recently with a living trust, and it’s been relatively easy to settle things. And it would all have been done within a few months except that some terms of the trust were put in to cope with the estate tax laws of 1996, when my mother had all this done. Those laws are now history, but the lawyer had to do a lot of research on how the proper way to distribute the assets in a rational way, while still respecting the now-obsolete terms of the living trust. If not for that, everything would be done except for selling the house. So updating your legal paperwork to keep up with changes in the law and your personal situation is important. Thats OK Jessica….whining is important too. You make a good point. You have to update that trust every few years. You can’t remind people enough…so thanks! With my father-in-law’s recent passing, I went from working in an estate planning law firm to getting hosed by one. LOL. (Just kidding.) I think the costs involved, even with the administration of a will, depend upon how updated that will and/or trust is. When my father-in-law passed, the only will he had was the one who drew up three months after my husband (an only child) was born. I think it would have actually (NOT JOKING HERE) been cheaper to probate it, instead of administrate it. However, I think that may also have a lot to do with the attorney. So, what am I doing about it? …Apparently whining to you. Evan, Agreed. You have to fund it right. Fair enough Evan. I was not aware that a will can have an A/B provision. Is that the case in all states? Also, what about the costs of administration of will vs trust? Regarding whether all States can have A/B provisions I have never heard otherwise. A Will is just directing assets where to go and if the decedent-testator wants to split it up that way I couldn’t imagine any State in the US (there are some civil law countries that don’t accept trusts at all) that would say no. As far as costs, the revocable living trust is usually a cheaper option IF, and ONLY IF, it is probably funded during life. Evan, they do save estate tax if the person sets up and A/B trust and they have a taxable estate. I am not against Living Trusts, but they do not solve the tax problem as opposed to a Will. Meaning a Will can/should set up an A/B structure or what is likely to become more popular a disclaimer way to plan after death. If I remember correctly (and I don’t have the case or an article based on the case in front of me) a lot of that 73% run off was because of estate taxes. Revocable Living Trusts have a ton of benefits but they do LITERALLY NOTHING for estate taxes.